BEIJING (AP) — Placing a jar of feces on a pedestal next to him, billionaire philanthropist Bill Gates made a plea Tuesday for the safe disposal of human waste as he kicked off a "Reinvented Toilet" Expo in China. "You might guess what's in this beaker — and you'd be right. Human feces," the former CEO of software giant Microsoft said. "This small amount of feces could contain as many as 200 trillion rotavirus cells, 20 billion Shigella bacteria, and 100,000 parasitic worm eggs." NUSA DUA, Indonesia (AP) — Instead of destroying jobs and leaving legions of people without work, the digital revolution can open doors to unseen opportunities and industries, but only if everyone has access to the internet and the ability to use it, Melinda Gates said in a recent interview with The Associated Press. SEATTLE (AP) — Microsoft co-founder Bill Gates has given $1 million to a November ballot measure in Washington state that would charge a fee on carbon emissions from fossil fuels. SEATTLE (AP) — Bill Gates is rallying behind school quality in developing nations with a push for more assessment data, a new initiative that links the Microsoft co-founder's signature U.S. education priorities with his more prominent global philanthropy work. JAMESTOWN, N.C. (AP) — A North Carolina community college has brokered a deal to help its graduates earn bachelor's degrees for no more than $10,000. The News & Record reports Guilford Technical Community College signed an arrangement with Fayetteville State University this week to join its $10K Pathway Plan. SEATTLE (AP) — Marking another phase in his education agenda, Bill Gates is now taking a more targeted approach to help struggling U.S. schools. The Bill and Melinda Gates Foundation is now funding groups working directly with clusters of public schools in some of the most impoverished regions of the country. Many of those third-party groups already had relationships with the world's largest philanthropy, and some of the grants went straight to a school district and charter schools organization. ORONO, Maine (AP) — Researchers with the University of Maine are using an award of more than $430,000 from the National Institutes of Health to research immune responses to influenza. The University of Maine says the scientists believe novel treatments that work independently of the effectiveness of current vaccines are important to controlling the spread of flu. Flu vaccines vary from year to year in effectiveness. HARRISBURG, Pa. (AP) — A director at the Bill and Melinda Gates Foundation was chosen Monday to be the new chancellor of Pennsylvania's 14 state-owned universities, which have struggled with state aid cuts and to recruit students to its rural campuses. SEATTLE (AP) — Tech moguls Bill Gates and Mark Zuckerberg said Tuesday they will team up to help develop new methods for kids with trouble learning — an effort that will include dabbling into child brain science. They'll focus on math, writing and brain functions — key areas of classroom learning that they note are crucial for academic success. DURANGO, Colo. (AP) — Fort Lewis College in Durango has named its next president. The Durango Herald reports Tom Stritikus, deputy director of K-12 Education at the Bill and Melinda Gates Foundation, will take over Aug. 1 for President Dene Thomas, who will delay her retirement a month until July 31 to accommodate Stritikus' starting date. CLEVELAND, Ohio - Toby Cosgrove, former president and CEO of the Cleveland Clinic, will be this year's commencement speaker at Case Western Reserve University and Sue Desmond-Hellmann, CEO of the Bill and Melinda Gates Foundation, will address Ohio State University graduates. Hiram College also announced this week that its commencement speaker will be Carol Zelis Perez, the United States ambassador to Chile. The investment arm of Bill Gates has increased its investment in Ecolab Inc.
Cascade Investment LLC — already the largest shareholder in the St. Paul-based global provider of water, hygiene, and energy products and services — purchased 694,343 additional shares of Ecolab for about $91.7 million on March 7. The Kirkland, Wash.-based firm paid in the range of $130.56 to $132.80 per share, according to a recent filing from the Securities and Exchange Commission. WEST LAFAYETTE, Ind. (AP) — Purdue University researchers who designed specially sealed bags to keep insects from eating harvested grain are looking to go worldwide. RICHMOND, Va. (AP) — The Virginia Growth and Opportunity Board has approved two grants totaling $930,000 for projects in Richmond and the Tri-Cities region. OMAHA, Neb. (AP) — Billionaire Warren Buffett has given away roughly $43 million of Berkshire Hathaway stock since last summer with the majority of that — $30 million — going to one unnamed charity. The gifts of Class B Berkshire stock were disclosed in documents filed with the Securities and Exchange Commission this week. These relatively smaller gifts are part of Buffett's overall plan to give away his nearly $85 billion fortune over time. GAINESVILLE, Fla. (AP) — The University of Florida has received an $8.7 million grant aimed at research that will reduce hunger in Africa. The richest people on Earth became $1 trillion richer in 2017, more than four times last year's gain, as stock markets shrugged off economic, social and political divisions to reach record highs. The 23 percent increase on the Bloomberg Billionaires Index, a daily ranking of the world's 500 richest people, compares with an almost 20 percent increase for both the MSCI World Index and Standard & Poor's 500 Index. What is Giving Tuesday and how can you take part? CLEVELAND, Ohio -- After scooping up deals in Black Friday and Cyber Monday sales, Giving Tuesday focuses on giving back. The holiday was created in 2012 by 92nd Street Y and the United Nations Foundation to offset the scramble to snap up deals post-Thanksgiving. In 2016, it raised $168 million, a 44 percent increase from the previous year, according to NPR. SCOTTSBLUFF — Tuesday, Nov. 28 is #GivingTuesday and United Way of Western Nebraska is joining the #GivingTuesday initiative. Established in 2012, #GivingTuesday is a national initiative for charitable giving. As an added incentive, Facebook is waiving all donation fees for donations made via the Facebook Donate button and the Bill & Melinda Gates Foundation are matching charitable donations up to a total of $2,000,000. WEST LAFAYETTE, Ind. (AP) — A Purdue University professor has received a $5 million grant to help develop hybrid grain seeds that will resist parasite weeds. Rotary International has long fought for the eradication of polio. In recognition of this determined effort, members of the Cleveland Rotary Club highlighted World Polio Day with an informative and inspiring presentation from a polio survivor. Lady Elizabeth Dalton, sister of Rotarian Ernestine Belt, gave a fascinating account of her journey with bulbospinal polio, which she contracted in the seventh grade, and affects primarily her neck and throat area to this day. Oct. 24 is World Polio Day, a day to celebrate what's been accomplished in eliminating this crippling disease in the United States and the western hemisphere and to consider what work we need to do in the few countries where the disease still persists. Since 1985, when Rotary International and its partners began work to eradicate polio, the number of polio cases globally has gone from about 350,000 to just 37 in 2016. NEW YORK (AP) — Former President Barack Obama on Wednesday called repeated Republican efforts to repeal his signature health care law "aggravating" as he urged people not to be discouraged by unsteady progress as they work on pressing global issues. OMAHA, Neb. (AP) — Billionaire Warren Buffett has donated $3.2 billion worth of his Berkshire Hathaway stock to five charities as part of his plan to gradually give away his fortune. Buffett disclosed the annual gifts Monday. 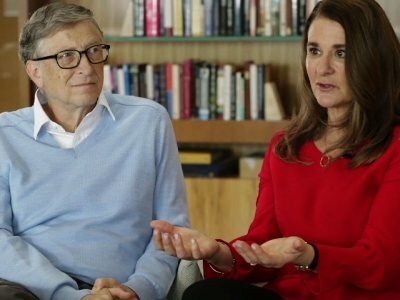 The biggest block of shares went to the Bill & Melinda Gates Foundation. Buffett also gave stock to his own foundation and to the foundations run by each of his three children. The Swinging Door provided the backdrop and food for the Richmond Rotary Club's annual installation ceremonies. The club's 2016-17 President Rosie Karlberg was recognized and "demoted" as the induction of incoming President Larry Pittman for the Rotary Club of Richmond's 2017-18 year then took place. Eric Liu, District 5890 governor, led the recent ceremonies. Karlberg thanked her leadership team after Pittman's induction. Pittman pinned his leadership team. In an ongoing effort to increase awareness about the “Every Student Succeeds Act” in the Black community, the National Newspaper Publishers Association hosted a national town hall for Black parents at the National Harbor in Prince George’s County, Md. NEW DELHI (AP) — India's government has canceled permission for foreign funding for one of the country's main public health organizations, whose donors include the Bill and Melinda Gates Foundation. It's the latest move by Prime Minister Narendra Modi's government in cracking down on charities and nonprofits that receive funds from overseas and are often criticized for working against national interests. BRUSSELS (AP) — Nations and philanthropists pledged close to $200 million Thursday for family planning at an international conference that aimed to make up for the gap left by President Donald Trump's ban on U.S. funding to groups linked to abortion. Despite widespread global problems like hunger and malaria, Bill Gates has an optimistic outlook on the planet's future -- along with a few ideas on how to make it even better. In this video series, CNN meets the men and women bringing those ideas to life. Bill Gates is a man on a mission. The 61-year-old co-founder of Microsoft, who has an estimated fortune of nearly $85 billion according to Forbes, is well known for his philanthropic work. 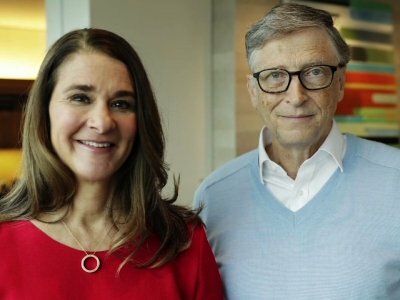 SEATTLE (AP) — The Bill and Melinda Gates Foundation is awarding $279 million to the University of Washington to expand its work in improving global population health. The grant funds another decade of work at the university's Institute for Health Metrics and Evaluation, which provides critical data about the world's health problems and evaluates strategies to address them. The grant announced Wednesday is the largest gift in the UW's history. OMAHA, Neb. (AP) — New Warren Buffett documentary will be shown in billionaire investor's hometown of Omaha. The Omaha premiere comes one week ahead of when the film will debut on HBO. Buffett and his family is expected to attend the Omaha event at the Holland Performing Arts Center Monday night. A similar event was held in New York last week.